On Thursday I was given the coal in my stocking an early Christmas present. When I return from Christmas Break, the dreaded fun penguin unit is waiting for me. It has been placed by the trash can in a safe place. You say the "p word" to any 1st grade teacher in my district and it won't be pretty. 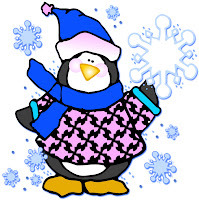 I love penguins just not the unit that is supposed to teach math but really teaches....hmmmmm, after 12 years I have still not figured that one out. Fine motor cutting skills? Yes! 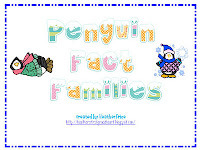 We learn about different penguins and I like that but then our math assessments for this unit are based on reading and sorting penguin facts learned from a poem that is about 40 lines long and WAY to long for a 1st grader to read at this time of the year. Um, where are the assessments for place value, problem solving, graphing, and oh, any of the other TEKS I am supposedly teaching with this unit??!!!???? So to help my kiddos actually learn something, I throw away and recycle many activities send home with my kiddos many of the games that take about 3 hours to cut out per kiddo. Did I mention this unit is about 6 reams of paper tall??!!!??? Okay, I could rant and complain discuss more about the penguin unit but this is my break and I do want to relax and not think about those reams of paper already collecting dust in my room. I hope these help you out with some math stations when you return from your Christmas Break.﻿ Heart notes make me smile so I would appreciate you leaving one if you grab these activities. I agree!!! I can't believe we are out of school and feeling so bad for the bloggy buds who still have school this week....I can't even imagine...my kiddos were acting crazy Friday...Happy break:) Happy PJ day!!! I'm with you in staying in my pajamas for a LONG time tomorrow. I'm so looking forward to a day all by myself (well... and my dogs) and sipping some hot chocolate...and stalking my favorite blogs. Enjoy! You enjoy your pajamas because I will be up bright and early going to school! :) We go until Thursday, I figured we might as well go until Friday and make it a full week. Thanks for following my blog and I have returned the favor! Thanks for sharing these cute math games! I'm another one who will be in PJ's tomorrow! Unfortunately it's because I am sick with a sore throat and ear ache! But yes, our school is out all of this week and next, and Mon-Tues after that! I love these penguin activities, and my kindergarten class will love them too! I love, love, love all the bright colors on these activities!! Just found your darling blog and love it!! Thanks for the math freebies!! Thanks Heather! These are great! PS TOTALLY jealous about the PJ comment!!! We go to school till Thursday!! Hi! I was just sent over here by A Teeny Tiny Teacher. 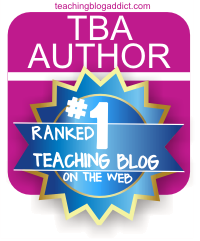 Your blog is just fabulous! Thanks for all the freebies! I definitely will be using your Penguin math pages in my class after we come back from break! 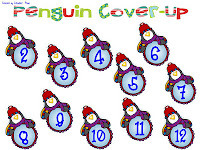 I have a request though...could you make a Penguin cover up for subtraction too? Like the one you made for the dice with addition? My little firsties could use a little extra help in that area. I'm really excited to start following your blog!!! Yay!! ~Heidi V.
Love these!! Thanks soooo much for sharing! So cute! I will. E downloading these as soon as I decide to get out of bed! It's only 7:30, so I still have an hour or so to relax! We have 3 weeks off with no school...I love December and January! Lotsof time to relax and work on things...like sleeping! 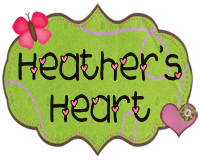 Hi Heather - thanks for stopping by the Corner on Character today. I've been visiting your site for some time now and so admire what you're doing and who you are! We're actually getting an inservice on Conscious Discipline Feb. 20th that I am SO jazzed about! Now, about those penguins . . . do you have the book My Penguin Osbert by Beth Cody Kimmel? 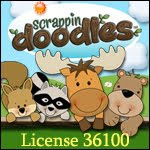 It's a MUST for a fun penguin unit and will incorporate a bit of a responsibility lesson . . . you must also paint life-size penguin portraits if you're not already doing that . . . it makes a BIG mess but our firsties LOVE it. Thanks for the handouts - I'm going to share them with our Team First! Thanks for leaving me a note on my blog! This is my first visit and I love the penguin goodies. Thank you for sharing! Love the penguin goodies - do you mean that your district actually gives you a penguin unit that you have to teach? 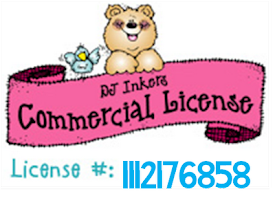 I just make up my units myself - or grab them off of blogs or TPT lol! Of course, my district didn't even provide me with a Reading Series this year (well, to be fair, they gave me the workbooks, but they're kind of useless without the readers!). I hope you can reorganize your penguin unit to be fun AND meaningful! Thank you for sharing all of the great Penguin math activities! I grabbed all of your penguin math centers. I can't wait to use them during my polar bears and penguins week. These activities are great!! I love the graphics too :) Thank you so much for sharing! Thank you forth wonderful penguin freebies! You rock! Thank you for the wonderful penguin freebies! You rock!